YES, We're doing it again but with a different flair. 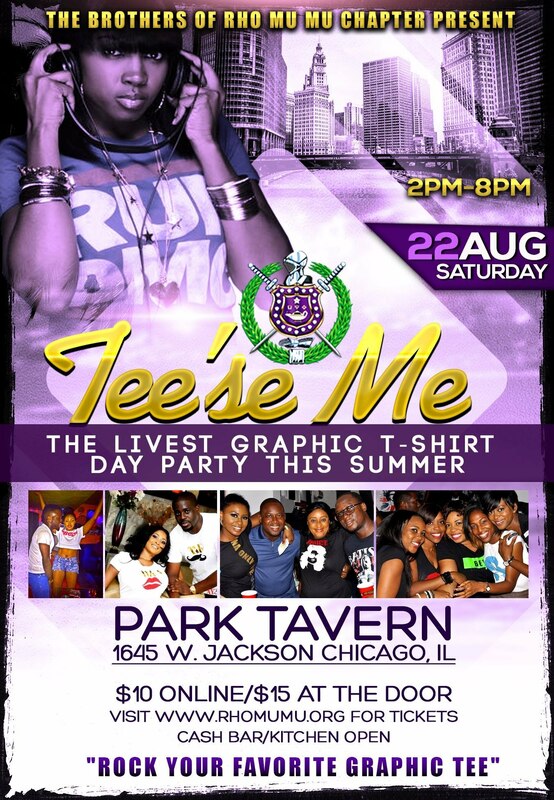 The Men of Rho Mu Mu Chapter of Omega Psi Phi Fraternity, Inc present the 2nd Annual "TEE'SE ME" Graphic T-Shirt Day Party. This is the going to be the livest Graphic T-Shirt Party this year! Rock your favorite Tee'se.